"Biggest Steak ever!" describes Aleethia Friday Night Dinner held on 10/22/10 at Bobby Van's Grill. 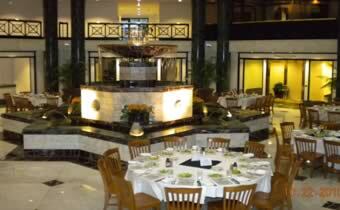 Bobby Van’s Grill’s stunning skylight atrium amidst its beautiful water fountain was the setting for “Aleethia’s Friday Night Dinner.” Over 103 service members and their families enjoyed a fantastic dinner. Twelve injured service members and guests from Brooke Army Medical Center of San Antoinio TX who were in town for the Army 10miler were able to join in the festivities. Dinner was Sponsored by MacAndrews & Forbes Holdings Inc. and hosted by Evan Knisley and his wife Trish. 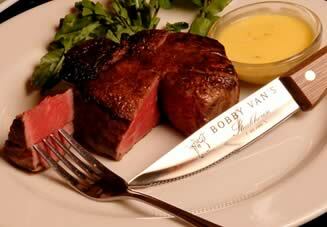 Besides the “Biggest Steak ever” it was a very relaxed and friendly evening enjoyed by all. 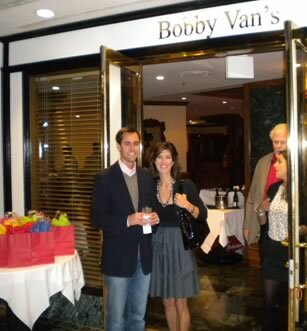 Bobby Van’s Staff were terrific and accommodating for all the “special” requests that were popping up throughout the evening.